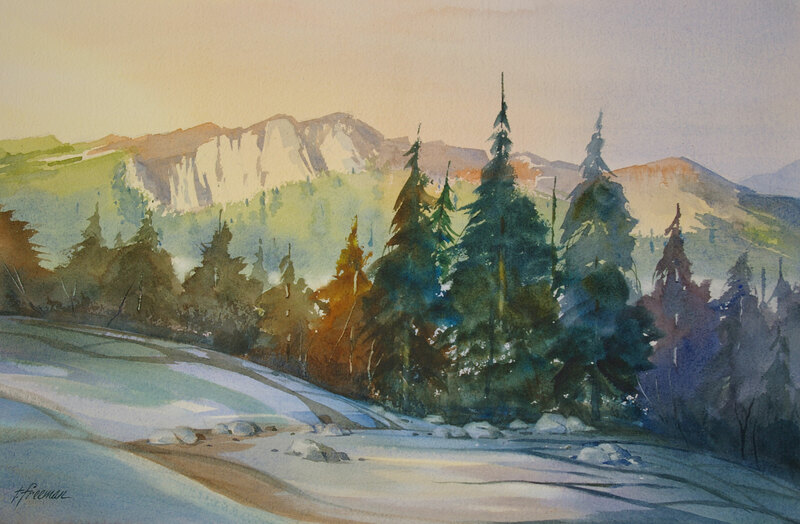 Thomas Freeman Original Watercolor Painting: "Mountain Solitude"
A scene of Silver Lake in the Sierras. Lots of changes: Evening replaces morning, the mountains are not near the lake – but that’s what is fun about painting. You make it the way you want it to look.